Looking for comfort and performance on a rubber binding? Well, ..... this is the binding choice of Nate Smith. The T-Factor is the result of more than a year of R&D and testing. The T-Factor features a smooth micro-fiber overlay blended with a rubber insert creating firm lateral support for superior edge control. “Smooth” was a frequent comment from the skiers testing the T-Factor. This smooth, forgiving ride is a result of the soft forward and aft flex the T-Factor delivers. With high-tech bungee in the upper cuff lace location and smaller bungee in the lower lace location, the T-Factor is comfortable and a breeze to put on. 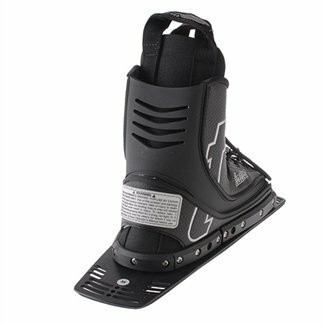 The T-Factor rear boot comes standard with the new D3 UNI-Plate which accommodates both D3 and HO insert patterns. 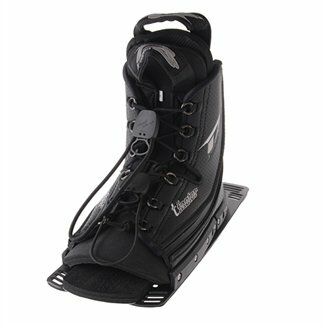 One of the biggest differences with the T-Factors is that they are a front-lace binding. This enhances the binding in two ways: 1) It allows for a much wider space to open up when putting the binding on, and 2) it allows for a more natural, uninhibited flex to the rear from the apex of the turn into the acceleration out of the turn. 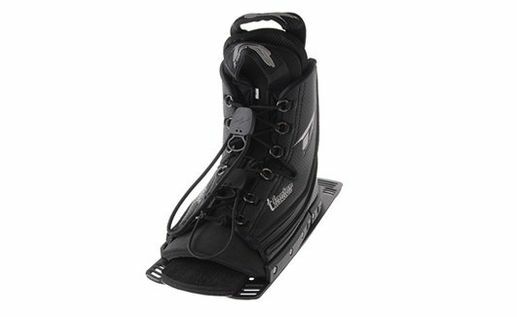 Laces in the back make the rear flex stiffer, and this can cause the tip of the ski to rise out of the turns. With the rear-lace binding the flex allows for some shift in body weight out of the finish of the turns, so even if you do fall slightly back before acceleration the tip of the ski will not rise out of the water. 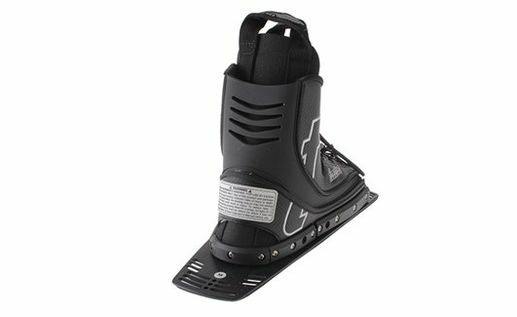 With the whole ski in the water there is no delay in acceleration, and the edge control of the ski is more secure. Performance category: beginning slalom course to tour pro.